“Applicant” means an Individual who has provided contact information or filed out an application form, in order to receive a quote or other services from us. “Browser Information” means information that is provided directly by your Internet browser, such as your IP address, the type, and version of the Internet browser you use, the time and date of your access to our Site, the web pages URL that you were visiting before landing on our site. In some cases, this information may allow identifying the specific device being used to navigate the web. “Business Partners” means the Insurances Companies, Licensed Agents, Health Care Providers, Government Agencies, and others vendors or partners (such as HSA Trustees and Third Party Administrators), with whom we share Insurance Information. “Device” means a computer, laptop, desktop, smart phone, tablet, and any other similar equipment that is used for online activities. “Individual” means any consumer, applicant, qualified individual, or enrollee. “Insurance Information” means information that we collect through the forms or applications that are posted on our Site, and that you fill out when inquiring about, or applying for, quotes for health or other insurance, or when inquiring about your ability to receive government subsidies, or information that we may collect in telephone or other communications, or that we receive from health insurance carriers in connection with an application for, or an inquiry about health insurance. For example: weight, height, age, birth date, or other information that relates to the past, present or future physical or mental condition of an Individual. “Insurance Information” does not include an Individual’s name, address, or other contact information. “Personal Information” means information that identifies an Individual or that, when combined with other information available to the data holder may allow identifying an Individual with reasonable certainty. “Personal information” includes any information that is collected from the Site or from any communication between us and an Individual, such as contact information that a visitor might provide when asking for information about the myCLIFF.org service or browser information. It may also include an Individual’s name, address, or contact information. “Registered User” means an individual who has provided Personal Information and/or Insurance Information in order to receive content from us, such as a special product, service, or feature. “Site” means the websites and subsites under myCLIFF.org.com domain name and/or affiliated microsites that we operate alone or with a Business Partner. “User” is an Individual who uses our Site. A User can be a visitor of the Site (who merely explores the Site), an Applicant or a Registered User. We collect Personal Information or Insurance Information, in a variety of ways. We try to ensure that you are provided with a reasonable opportunity and the ability to make informed decisions about the creation, collection, disclosure, access, maintenance, storage, and use of your Personal Information or Insurance Information. When you complete a form: We receive and store Insurance Information that you enter on our Site or provide to us otherwise. For example, when you fill out a form to ask for information or an application for certain insurance related services, you may be requested to provide your first and last name, telephone number, postal and/or email addresses and other Insurance Information. You have the right not to provide this information. For more information, please see the User’s rights section, below. If you contact us: We may keep a record of your contact information and correspondence, the purpose of your contacting us, and our interaction with you if you contact us for any purpose. We may also collect information through cookies and other technologies, such as information about a user’s online activity, the web pages visited, the search terms used, and any link on which the user clicks. For more information, please see the Cookies and other technologies section, below. From a third party: We may receive Insurance Information under an agreement with our Business Partners, such as the Center for Medicaid and Medicare Services (CMS). In this case, you have previously provided the Insurance Information to that third party, and have allowed that third party to provide that information to us. Other sources: We also may obtain Personal Information from affiliated entities, publicly available databases, and other independent third-party sources, and add it to our contact database for marketing and sales purposes to combine it with other information that we have collected or obtained otherwise. This may include phone number, email address, title, or employer. Our primary goal in collecting Personal Information or Insurance Information is to identify specifically your needs and interests so that we can find more efficient and effective ways to respond to your questions and inquiries, and, when this is allowed, to market our products and services to you. The more we know about your goals and interests as they relate to our products and services, the better we can communicate with you, anticipate your needs and communicate with you in a productive and enjoyable manner. All Users: We use Personal Information to provide our Users with access to the public areas of our Site and information about our products and services. We may also use Personal Information about our Users to communicate with them, respond to their questions, or as otherwise described at the point of collection of information. Applicants: If you have filled out an application or a questionnaire on our Site, we will use the Insurance Information that you provide in order to give you access to the product, service, or feature that you requested. You can request a quote or ask to be connected with an insurance company through our website by providing your first and last name, email address and telephone. If you represent an organization or a company, Insurance Information about your employees is required in the event you request a quote. Any such information is held in the strictest confidence, and will only be shared with our Business Partners. Registered Users: If you have registered on our Site, we will use the information that you provide in order to manage your registered user account and to give you access to the product, service, or feature that you requested. In addition, we will assume that you are interested in our products or services, and may send you periodically additional information and news. You have the right to opt-out from receiving any future communications. See our User’s rights. Telephone Calls: If you fill out an application, and provide us with a phone number, we may call you. By submitting the application with your phone number, you expressly authorize myCLIFF.org or its service provider to call you or send you recorded messages or texts about the insurance products described in the application or related products that may be of interest to you, using automated technology to the phone number that you will have provided. You are not required to give your consent. Correspondence: We may use your correspondence, contact information, email address, and any information that you provide in your messages (other than your Applications for insurance services), to respond to you. Marketing and Business Development: When not precluded from doing so, we may use Personal Information that we have received from you or about you to solicit feedback from you, including through surveys or to send you marketing communications and promotional material about other products and services. If you demonstrate an interest in a particular product or service, such as by affirmatively clicking on a link about the product or service, and we have your contact information, we may follow-up and send you an email or initiate communication with you about this product or service, and may periodically send you additional information and news. We will not use Insurance Information for any other purposes than to respond to your specific request made through an application for a particular service. In addition, at all times, you have the right to opt-out from receiving any communications from us. See our User’s rights section. Investigations: We may use Personal Information to prevent or investigate potentially prohibited or illegal activities. Analytics: We may aggregate Personal Information and usage data in order to obtain statistical information, such as to calculate the percentage of Users who have a particular zip code or telephone area code. We also use aggregated Personal Information to understand how our Site is used, for research or product development, for example, to measure interest in, or monitor the use of any content, product, services or promotions that we provide through the Site, to improve these content, products, services or promotions, and for the technical administration of the Site. Insurance Companies and Licensed Agents: Inquiries and applications for insurance products or requests for quotes may be transmitted to the insurance company or companies that you have chosen, or to their respective licensed agents for processing. These Business Partners are obligated to maintain the confidentiality of all information that they receive and to only use such information for following-up on your application or request for information or a quote. Third Party Administrators and Payment Processors: If you express interest in a health savings account (HSA) or healthcare reimbursement account (HRA) vendor that is one of our Business Partners, we may disclose Personal Information to that vendor, its trustee or administrator for follow-up and processing. These Business Partners are obligated to maintain the confidentiality of all information they receive and to only use such information for following-up on your application or request for information. Licensed Carriers and Insurance Brokers: If you express interest in an insurance product from a particular insurance company that is not our Business Partner, we may send your Personal Information to licensed carriers or insurance brokers who may be able to further assist you. These licensed carriers or insurance brokers are obligated to maintain the confidentiality of all information they receive and to only use such information for assist you on your application or request for information. Government Agencies: Under a relevant agreement executed with a Government Agency we may disclose Insurance Information in order to comply with the agreement, such as to assist Individuals in applying for Advanced Payments of the Premium Tax Credits (“APTCs”), Cost-sharing Reductions (“CSRs”) for Qualified Health Plans (“QHPs”) and/or in completing enrollment in QHPs offered in the individual market through the Federally-facilitated Exchange. Workforce:org employees and independent contractors need to have access to Personal Information and Insurance Information to carry out their duties and obligations, such as to provide customer support, respond to inquiries, or correct an error. Only the minimum amount of Personal Information or Insurance Information will be made available to them as needed, and in accordance with their responsibilities. They are required to ensure at all times the confidentiality and security of your Personal Information. Service Providers: We may engage certain third parties to perform services including, without limitation, hosting and maintenance, customer relationship, storage, database management, collection, fraud prevention, business analytics, chat, website analytics, website optimization, lead scoring, retargeting, direct marketing campaign, or similar services. We will share your Personal Information or Insurance Information with these third parties, but only to the extent that this Personal Information or Insurance Information is necessary to perform these functions and provide such services, and only pursuant to binding contractual obligations requiring such third parties to maintain the privacy and security of your Personal Information and Insurance Information. To Defend or Enforce our Rights: We may use or share Personal Information or Insurance Information to establish or exercise our legal rights; when we believe it is appropriate to protect the our Site, our property and rights or those of a third party; to protect ourselves and the security and safety of our company, our customers or others; to investigate, prevent, take action against, or stop any fraudulent, illegal, unethical, or legally actionable activity, in connection with our Site, our products or services, or those of our Business Partners other third parties. Compliance with Laws and Third Party Requests:org cooperates with government and law enforcement officials or private parties to enforce and comply with the law. We may disclose any information about you to government or law enforcement officials or private parties as we, in our reasonable discretion, believe necessary or appropriate to respond to and defend against legal claims, respond to legal process (including a facially valid subpoena, warrant, court order or other legal process), or otherwise as required by law. Please note that we may not be able to notify you of a request for the disclosure of your information as described above, either because it might be prohibited by law, or because doing so would jeopardize an investigation of illegal or fraudulent activity, or because we do not have your contact information. Aggregate information: We may prepare reports, market analysis, and trend analysis that are based on compilation of data that myCLIFF.org has collected. These reports do not contain specific user information, but only aggregate information regarding a group of users. Data aggregation is a process in which data are gathered and expressed in a summary form for purposes such as statistical analysis, in order to obtain information about a particular group based on specific variables. This aggregated information is used for industry analysis, demographic profiling, and other purposes. Some cookies are managed by us, and others by our service providers. These cookies are used for a variety of purposes. Some cookies enable services that you have specifically asked for. Other cookies are used to remember the choices you made (for example, the size of the font, or the language you prefer) in order to make it easier for you to use our Site when you return. Other cookies collect information about how Users use our Site, for example which pages they visit most often, or how long they stay on a particular page. Finally, other cookies are used to collect information about your perceived interest in our products or services so that we can arrange for advertisements regarding these products or services to display on other sites that you visit on the Internet. This way, when you visit other sites that display advertisements, the advertisements that you see are more relevant to you. These cookies are not linked to any contact information or identifying information, thus cookies do not tell us who you are. If you have any other questions about cookies and other technologies, please visit http://www.allaboutcookies.org/ or http://networkadvertising.org/ or contact us as indicated in the ‘How to contact us’ section. We want our Users to enjoy their visit to our Site, and we respect their privacy. To this end, we provide numerous privacy choices. While we have tried to provide all tools necessary so that Users can manage their interaction with us, as listed below, you may prefer to interact directly with us. In this case, be aware that you can contact us at any time with your questions or requests for assistance. Please refer to the ‘How to contact us’ section. Right to amend, correct, substitute, or delete Information: You may request that we amend, correct, substitute, or delete Insurance Information maintained and/or stored by us if you believe that it is not accurate, timely, complete, relevant, or necessary to accomplish our services. To do so, please let us know what you need by contacting us as indicated in the ‘How to contact us’ section. If the requested Insurance Information is no longer available or cannot be modified or deleted using reasonably commercial means, or if the burden or expense of deleting it would be disproportionate to the risks to you, we may deny your request and we will provide you an explanation for this denial. Right not to provide information: You can choose not to provide us with any Insurance Information, or not to respond to certain questions. However, if you wish to obtain access to certain content, ask us a question, apply for products or services, or to take advantage of certain features of the Site, you may be required to provide certain Insurance Information, as indicated in the relevant form. You should know that much of the most valuable content that myCLIFF.org has developed or compiled is available only to Users who have provided us with certain information, as indicated in the relevant form. Right to object to new uses or disclosures of your Insurance Information: If at any time we wish to disclose, or use your Insurance Information in a way, or for a purpose other than how was originally given, we will ask for your authorization. Right to revoke your authorization: If you have given to us an authorization to use or disclose your Insurance Information in a specific manner, you have the right to revoke that authorization, at any time, by requesting us as indicated in the ‘How to contact us’ section. Right to request restrictions on our use or disclosure of Personal Information: You may have the right to request restrictions on how we may use or disclose your Personal Information, to the sole purpose of obtaining the assistance in applying for services provided in the Site or for fulfill our obligations specified in the relevant agreement. To do so, please contact us as indicated in the ‘How to contact us’ section. Right to block cookies: You can choose to block cookies. To do so, please review the Cookies and other technologies section. Please note that if you refuse to accept cookies from this Site, you will not be able to access certain portions of the Site. Right to block marketing communications: If you no longer wish to receive marketing information or communications from us or from our affiliates entities, you can unsubscribe from our distribution list by following the unsubscribe instructions provided in the communications that you receive from us. 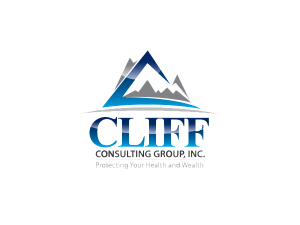 myCLIFF.org employs administrative, physical, and electronic measures designed to protect your Personal Information from unauthorized access, loss, misuse, disclosure, alteration, and destruction. When we need to transfer information out of our firewall, we use industry-standard technological means to protect Personal Information while in transit through the Internet. We use encryption and a comprehensive authentication protocol to provide reasonable security. However, please remember that no security system on the Internet is perfect.